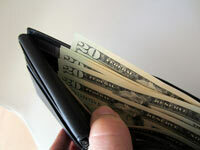 Home » Email vendor Selection Articles » The Marketing Automation Dilemma: To Pay, or Not to Pay? Marketing automation software has been steadily climbing in popularity over the past decade. That’s because it works. Maybe you’ve heard there are some “free” options out there, does the axiom “you get what you pay for” also apply to Marketing Automation? 79 percent of “top-performing” companies have been using marketing automation for at least two years according to Gleanster reseach. Marketers who use marketing automation increase their pipeline contribution by 10 percent according to Forrester. 63 percent of companies that outgrow their competitors are using marketing automation. But more than a few companies are still testing the waters. Small businesses in particular have been slow to adopt. This isn’t too surprising since most of the hullabaloo has centered around a handful of expensive megavendors, and since small businesses tend to operate on a tight budget and have simpler needs. According to a 2013 report by BuyerZone, only 18 percent of small companies (less than 10 employees) and only 26 percent of mid-sized companies (10-100 employees) have adopted marketing automation. Separate findings by Raab Associates indicate that adoption is also slow for companies with low revenue — with less than three percent market penetration for companies with less than $5 million in revenue. Maybe that’s the place you’re in. 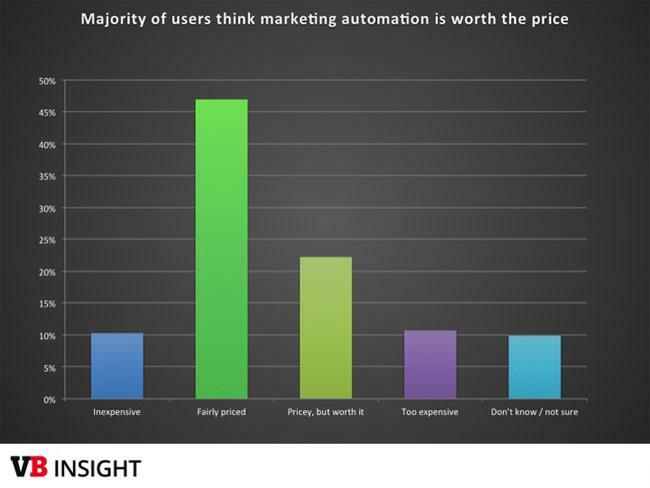 You wouldn’t mind trying marketing automation software, but you aren’t ready to pay for it. Maybe you’ve heard there are some “free” options out there, but you aren’t sure whether or not you can trust a free solution. Would it perform well? Would it have the capabilities you need? In situations like this, old axioms such as “You get what you pay for” and “Nothing in life is free” haunt SMBs. Actually, there are some marketing automation tools you can access for free — that aren’t totally worthless. Option 1: Try to piece together your own set of tools. Although most vendors package their software as a unified product, marketing automation really happens through a set of interconnected tools: email, social and web analytics, landing pages, lead management, SEO . . . you get the idea. Option 2: Find a marketing automation vendor that offers a free version of their product. There are a few open-source options, such as Mautic, that offer solid functionality but may require extra “tinkering ” and provide scant customer support. Or you can choose an established vendor with a free, lower-tier product version (such as Automizy or Leadsius). With either of these options, you’ll only get basic features and capabilities, and you’ll have to operate under some stringent limitations (e.g. you can only manage up to X,000 contacts, or you can only send X number of emails). You only have 1 user, and a small number of contacts: It wouldn’t make much sense to sink a large investment into IT infrastructure for marketing automation on such a small scale. There are quite a few vendors that offer free or next-to-free service at this level. You need very basic email marketing: Businesses that are new to digital marketing often get this mixed up. If your goal is to send basic, batch emails to different list segments, you don’t need full-scale marketing automation. An email marketing tool — many of which are free — will be more than adequate. You aren’t ready to commit to a vendor: Maybe you want to see how marketing automation fits into your workflows, but you aren’t ready to sign a contract with a vendor. Sign up for a free trial or use a basic version for a while and see how it goes. Do you see any ROI? How do your team members like the product? In reality, if you’re marketing operations are big enough and complex enough to warrant marketing automation, you should be thinking of a software platform as an operational expense, an integral part of your growth strategy. It may take some time (3-6 months, ballpark) to see a solution pay for itself, but after it does, you’ll reap the benefits. You need access to advanced analytics and reporting: This is especially pertinent in the B2B world, where decision-makers are pressured to imbue traditional marketing tactics with business intelligence. Account-based marketing would be a perfect example; you’re using advanced data analysis (propensity modeling, account profiling, etc.) to vet potential clients, engage their brand, and push your services. You won’t find these kinds of features in a free platform. You need to run advanced campaigns with a large number of contacts: Free marketing automation tools may let you capture leads and keep an eye on your website, but if you need to do much more than that — like build an email nurturing program with custom rules and autoresponders — you’ll need a professional-grade solution. You need your MA platform to integrate with other business applications: Horizontal integration is a hallmark of good marketing technology. According to a survey by Pepper Global, “product integration” is the number two factor (after price) marketers use to evaluate MA software. Unfortunately, integration is is not a strong point in free solutions. They usually have less established developer communities, and some may even limit your API activity using a “freemium” pricing model. Find an MA platform that works for you budget and supports the business applications you already use, whether that be CRM, social media management, or web analytics. * Just because you can get marketing automation software for free doesn’t mean you should . . . or that you’ll enjoy it, or that it will make any measurable contribution to your marketing goals. Then again, not every business needs to go out and spend thousands of dollars on a top-of-the-line product suite. There are plenty of vendors that offer on-demand solutions for less than $100 per month, depending on the number of users and contacts. Define your goals, decide what tools will help you accomplish those goals, and find a solution that offers the most bang for your buck — even if that’s a really small buck. Aleksandr Peterson is a technology analyst at TechnologyAdvice. He covers marketing automation, CRMs, project management, human resources, and other emerging business technology. Connect with him on LinkedIn.